Wonder why turmeric forms such an essential part of every bridal beauty ritual in India and several other ancient Asian cultures? That’s because this yellow-coloured spice is known to have potent anti-inflammatory, anti-fungal, antibacterial, antioxidant and blood purifying properties. This is what made it possible for Indian women to banish spots for centuries, keep their skin supple and to mop up those free radicals. Turmeric (or haldi, as it is known in the region) has been a staple of traditional therapeutic systems like Ayurveda, Unani and Siddha – and today, the benefits are backed by science. Regular use is said to make the skin soft and smooth, impart a glow and produce a fairer complexion. 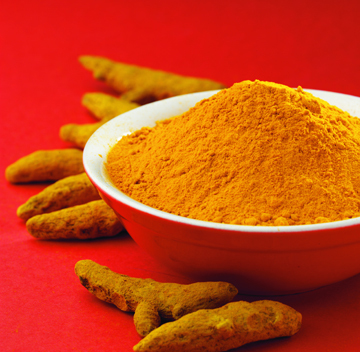 Turmeric paste is also prescribed in Indian medicine for various skin ailments like pigmentation, blotches and eczema. Besides this, it is used in traditional medicine for cuts and burns as it is believed to have an antiseptic effect and the ability to promote healing. In fact, turmeric is currently even being investigated for possible benefits in Alzheimer’s, cancer and arthritis. Now, many of us would avoid putting turmeric on our faces for fear we end up looking like a character out of The Simpsons, but this potent ingredient is increasingly showing up in leading international products like Ole Henriksen Visual Truth Eye Creme and DDF Anti-Ageing Restorative Advanced Firming Cream. So, it’s definitely worth a try in the natural form! However, which variety to pick? Aam Haldi or Ambia Haldi is cooling, making it perfect for skin eruptions. For an easy formulation, take a spoon of aam haldi powder, add two strands of saffron and a teaspoon of unboiled milk, then mix into a paste. Apply on eruptions and leave for about 20 minutes. Doing this daily will get rid of the spots sans a single mark. Cochin haldi (also known as jungle haldi) is another favourite. This is a kind of wild turmeric used by the famous kathakali dancers. 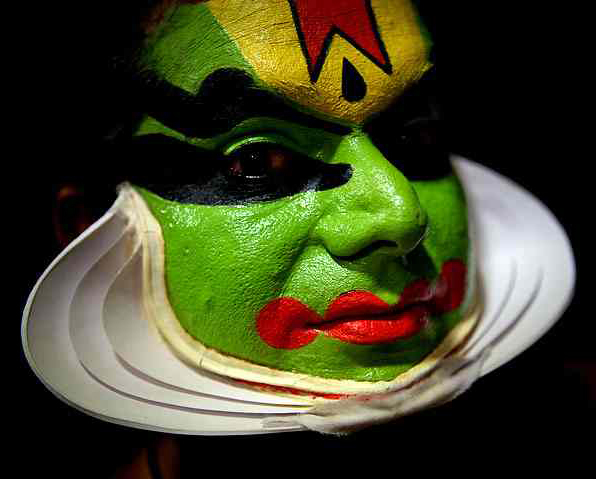 These performers have to use a great deal of makeup and Cochin haldi is the only thing that has been proven to protect their faces from the harmful effects of this makeup over a long period of time. Want to try it? Substitute this variety for aam haldi in the above face pack and apply for a deep cleanse. However, even if you can’t find these two varieties, plain turmeric from the grocers can be substituted for its more exotic cousins. Just remember: Whole turmeric (which you grind into a paste with a little water) trumps powder; and organic powder trumps the non-organic version in potency. 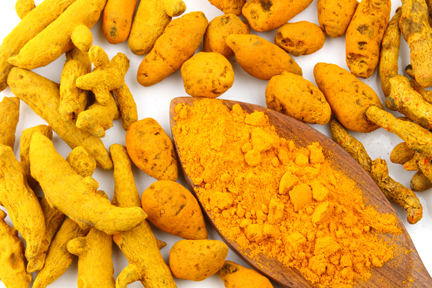 To treat acne or pigmentation marks, mix one tablespoon of turmeric with a few drops of milk. Apply on skin for 15-20 minutes and then wash off with plain water. For oily skin, mix two tablespoons of sandalwood powder, milk, a few drops of lemon and a pinch of turmeric powder to make a mask. Apply on face and let it dry, then wash off with warm water. Body (including facial) hair can be removed by making a paste of turmeric and sugar and applying it all over the skin. Leave on for a couple of hours and then scrub gently. A regular application of this paste discourages hair growth altogether. To remove dark under eye circles, add a pinch of turmeric to two tablespoons of buttermilk and apply this around your eyes. Wash with cold water after 15 minutes. To gain strength, protect the body against infections and strengthen bones (thereby reducing the risk of osteoporosis), boil a half-inch piece of turmeric with half a glass of milk. Once the milk has turned yellow, remove from heat, let it cool slightly drink three times a week, at night. You can add one tablespoon of turmeric powder in place of the turmeric piece. However, make sure that you are wearing old clothes that you don’t mind staining when you try any of these recipes! In culinary terms, turmeric’s antioxidant properties means that the long shelf life of Indian pickles is due to the generous amounts of turmeric that they contain. When turmeric is added to vegetables, its anti-microbial properties kill harmful bacteria and render powerless the eggs and larvae of intestinal worms that may not have been washed off before cooking. Now, this is an Indian ingredient that I never thought I would see on an international platform – that too, courtesy one of my favourite brands. 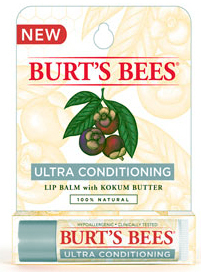 Burt’s Bees latest Lip Balm is anchored around, of all things, kokum butter – a little known fruit that is native to India’s Western Ghats and is rarely seen beyond this area. In fact, I had never heard of kokum till it was introduced to me by my grandmom-in-law in Mumbai. Scientifically known as Garcinia Indica, the kokum tree is a tropical that is difficult to propagate. Its fruit looks like a small plum, and which becomes dark red when ripe. In culinary terms, it is used as a souring agent (like tamarind) and has a sharp, acidic flavor with a fruity aroma. However, the local population has known for centuries that kokum has limitless beauty and medicinal benefits as well. 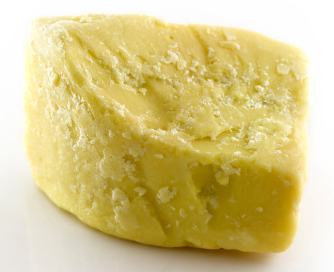 The seed contains 23-26% oil (or butter), which is the original moisturiser for this part of India. It has high levels of Vitamin E, is non-comodegenic (non-pore clogging) and has a relatively high meting point, which means that it retains a solid shape at room temperature and does not need refrigeration. That’s why, like in the case of Burt’s Bees here, it is perfect for creating a moisturising beauty product that uses less wax and more butters for deep hydration. When used in the purest form, its held near a flame and the melted oil is applied to cracked heels or dry skin. You will still see it being use thus in most traditional houses, which swear that nothing keeps skin glowing, hydrated and wrinkle-free than this simple formulation, which reduces degeneration of skin cells and restores elasticity. Kokum butter is also excellent for healing burns and allergic rashes, since it simultaneously cools the skin while hydrating. Besides this, kokum also contains rich amounts of anti-oxidants that bind with free radicals and prevent oxidative damage to body cells. They also promote cell regeneration and repair. The fruit is steeped in water to create a cooling concoction that is traditionally used to relieve gastric problems like acidity, flatulence, constipation and indigestion. It is also helpful in controlling diabetes and is especially popular during scorching summer months as it has a cooling effect and shields the body against dehydration and sunstroke. One of the easiest ways to enjoy this delectable, multi-benefit laden fruit is through the appetizing sol kadhi, which is a much-in-demand summer drink as it cools the body internally, thereby reducing sun damage and keeping heat-related problems like acne at bay. 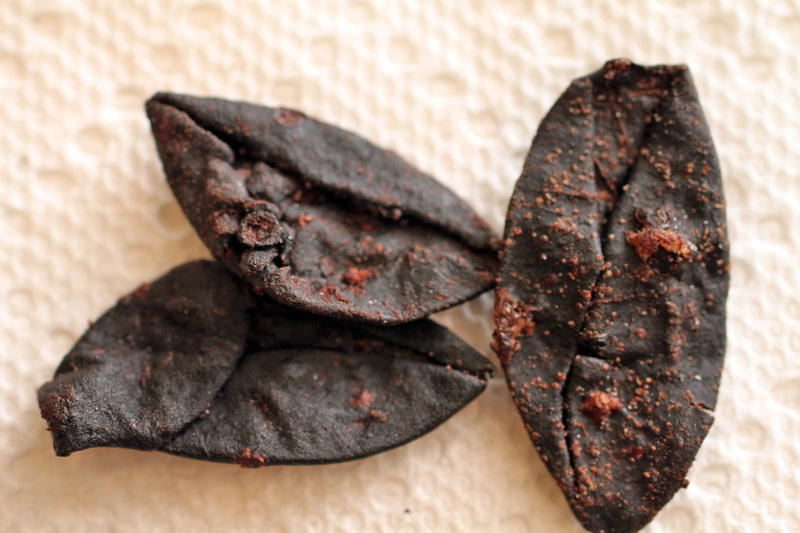 Kokum is easily available in Indian stores across the world – when buying, look for dark, soft, pliable rinds that release their juices easily. Then just dunk in the water and enjoy! From Angelina Jolie and Cameron Diaz to Naomi Campbell, Madonna and Elizabeth Hurley, the Indian sari is fast becoming an international fashion icon. 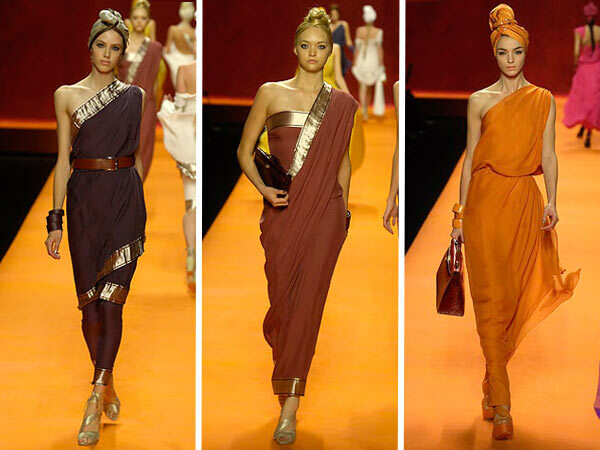 And now there is Hermès, which is all set to launch a limited edition collection of silk saris in India this October. Coinciding with the festival and bridal season, where traditional wear takes centre stage, the saris are priced at US$1,800 (Rs. 81,000) with another $500 for a matching blouse. Interested? It’s India’s Independence Day and what better way to celebrate than with a tribute to the ancient lotus, which is the country’s national flower. Why the lotus, people have asked me? Isn’t India more closely associated with marigold and jasmine? Actually, our country’s association with this blush-hued bloom runs far and deep. A beautiful lotus can bloom anywhere , right from clear lakes to muddy marshes. Besides this, it blooms with the morning light and closes its petals when the sun goes down. This has led to it being seen as a symbol of purity and resurrection – a spiritual flower grafted by the Gods themselves. It finds reference in several holy books and Lord Brahma (the creator of the universe), Lord Vishnu the preserver) and Goddess Lakshmi (patron of wealth and prosperity) are depicted sitting on a lotus. 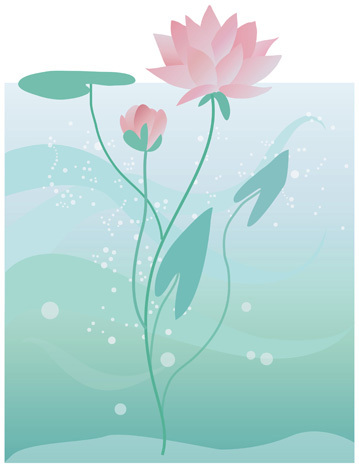 In the classical written and oral literature of many Asian cultures the lotus also represents elegance, beauty, perfection, purity and grace, being often used in poems and songs as an allegory for ideal feminine attributes. 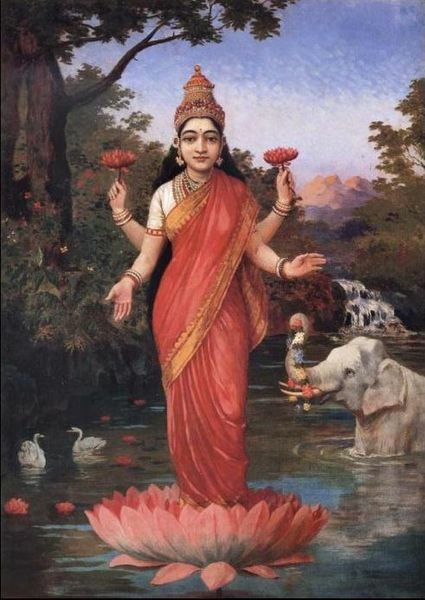 However, India’s connection with the lotus flower is not all spritual. The enchanting bloom also has several therapeutic qualities – it speeds up the healing of wounds, improves the immune system, prevents premature ageing, steps up the absorption of iron, reduces fatigue and irritability, helps with nerve and muscle function, lowers blood pressure and blood sugar levels, supports weight loss and guards against free radical damage. Besides all this, the beautiful and delicate scent of a lotus flowers is also used in aromatherapy to promote relaxation and deep breathing, creating an atmosphere of tranquility and peace. It is available as an attar, absolute or essential oil. However, costs are spiralling upwards, with the absolute clocking in at upwards of US$6,000 per kilogram. However, that has not deterred several leading beauty companies from adding this delicate floral and slightly peppery note to their fragrances. The most popular of these is probably Estée Lauder’s Beautiful, which is the perfect wedding fragrance when you want to evoke an Indian sensuality without going the heavy oriental route (I wore it at my own wedding). Besides lotus, which appears as a top note, the perfume is also redolent with jasmine, marigolds, roses, sandalwood and vetiver – all of which have an important role in Indian culture and divinity. My second favourite is the Un Jardin Sur le Nil by Hermes, which manages to smell both fresh and sensual at the same time – like a sunny, indolent summer afternoon. Then there is MAC’s Turquatic – a new launch that’s crisp and energizing, like a splash of clear, sparkling mineral water brought to a chill through an infusion of fresh lotus leaves. You will find thousands of old wives’ tales about almonds in India as they are considered magical ingredients in restoring vitality and beauty. Grandmom would insist that they be soaked overnight and softened, then ground into almond paste on the sides of a terracotta pot – this paste could be eaten, applied on the skin or mixed into milk for a nightcap. Even today, these delectable nuts are urged as important food during pregnancy as they are believed to ensure the unborn child’s fair complexion! The reason these recipes have persevered for thousands of years is that they actually do work – that’s because almonds are tremendously rich in calcium and minerals, which make them extremely nourishing. Almond oil and paste literally ‘feeds’ the skin, smoothening and softening it without leaving a greasy residue. They are especially high in calcium, besides being rich in minerals, magnesium, potassium and phosphorus. 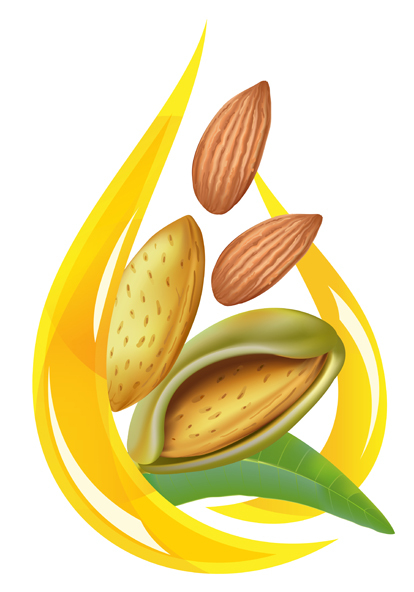 And the mono-unsaturated fat in almonds helps to lower cholesterol, especially the bad cholesterol (LDL). Even the brown peel of this nut is considered valuable as it possesses anti-oxidant properties… eating almonds with the peel on is therefore more vital in terms of beauty than peeled almonds, though the latter may be much yummier! 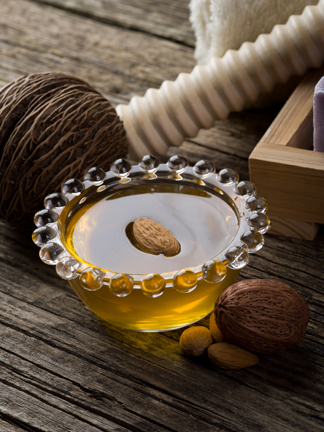 Pure almond oil is a great moisturiser for facial skin. Buy a small bottle and simply alternate with your regular night cream. Eating almonds on an empty stomach helps the body to absorb the calcium they contain, leading to strong and glossy nails. To make a potent deep cleansing face mask, soak a half cup of almonds overnight and next morning rub them on a clear, rough surface moistened with a little water. This will create a creamy paste that should be rubbed on the face and left to dry thoroughly (you can add a pinch of saffron to the paste for an added glow). When it is dry, rub it off in gentle circular motions with damp fingertips. This will not only remove all the dirt and dry skin but also leave you soft and sweet smelling. To strengthen hair and prevent slit ends, massage almond oil directly into the scalp and strands; leave it for about 20 minutes then wash. Your hair will emerge looking shiny, silky and healthy.